Yes, even little Red Breasted Nuthatches sit still and pose for the camera every now and again. I have a special fondness for these little guys. Love there calls and behavior. Glad we could provide a smile. Thanks for the feedback and wishing you a wonderful week. 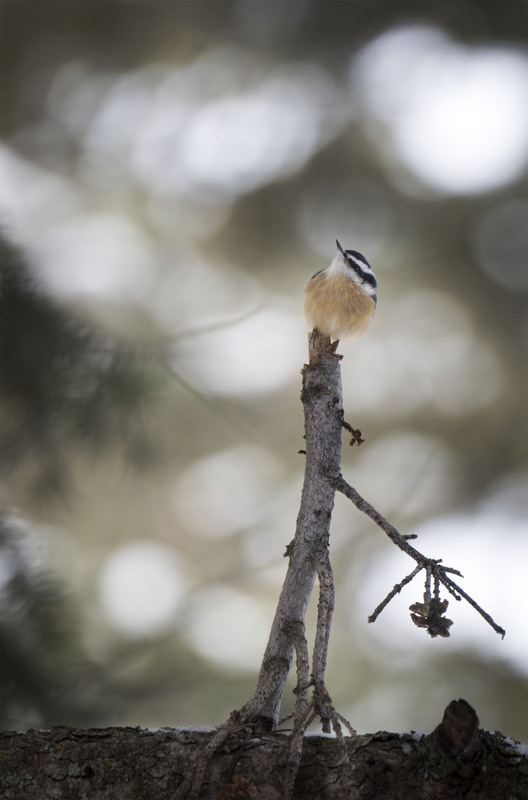 Fast work – you and the nuthatch! 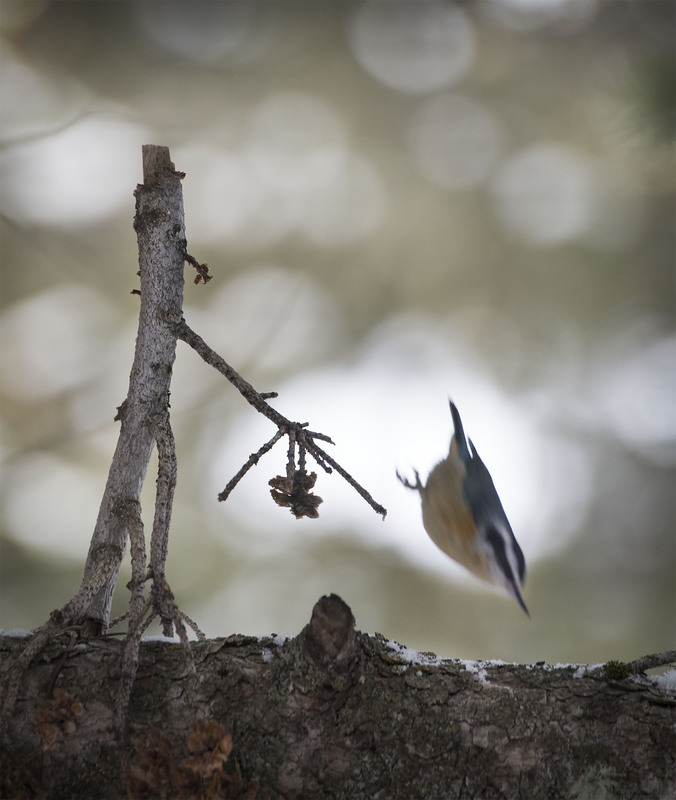 Mostly the nuthatch, I was but luck they were still in the frame as I was just focused on the pose. Great catch, I love action shots of birds. HI Maggie, yes action shots are great I just wish I could get them in focus.